Dr. James J. LaPolla, Jr., is a Board Certified Physician of Podiatric Medicine, that is, a surgeon of the foot and ankle. He is The Chief Podiatric Surgeon of Northeast Ohio Foot, Ankle & Wound Center Inc. with offices in Howland and Brookfield. 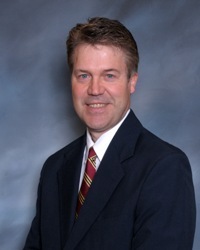 Dr. LaPolla is a 1989 graduate of The Ohio College of Podiatric Medicine with a Doctorate Degree in Podiatry and is a member of The Ohio Podiatric Medical Association. He also contributes to The Boy Scouts of America and The Butler Art Museum. Dr. Lapolla resides in Warren, OH with his wife and five children. Dr. LaPolla has staff privileges at Akron Children's Hospital. This means that in addition to offering podiatric services at both of his offices, Dr. LaPolla, Jr. is able to provide medical and surgical care of the foot and ankle for patients at any of the hospital's campuses, including locations in Warren, Howland, Boardman, and Akron. Dr. LaPolla is a proud member of The American College of Foot & Ankle Pediatrics (ACFAP). He recently attended the ACFAP 3rd Annual International Pediatric Foot & Ankle Seminar at the Atlantic Oceanside Resort in Acadia National Park in Bar Harbor, Maine on June 8-10, 2017.